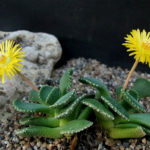 Aloinopsis malherbei is a small perennial up to 2 inches (5 cm) tall, with succulent rosettes of erect, lanceolate, glaucous green leaves up to 0.8 inch (2 cm) long, covered with tubercles, more evident at margins. 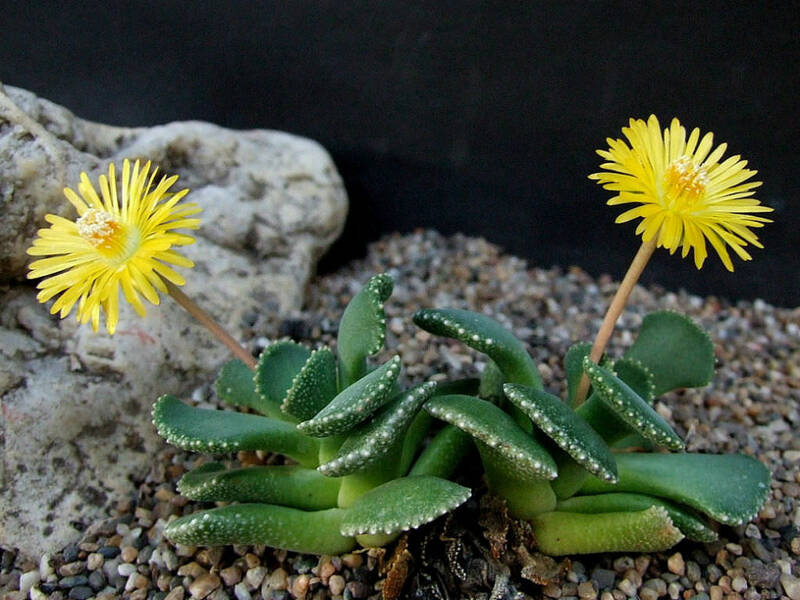 The flowers are yellow in color and up to 1 inch (2.5 cm) in diameter. USDA hardiness zone 10a to 11b: from 25 °F (−3.9 °C) to 50 °F (+10 °C). 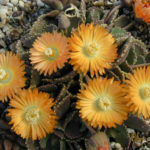 Aloinopsis are popular among collectors. They are winter growers and need plenty of light. 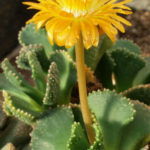 Most are somewhat to extremely cold hardy and bloom in the winter. 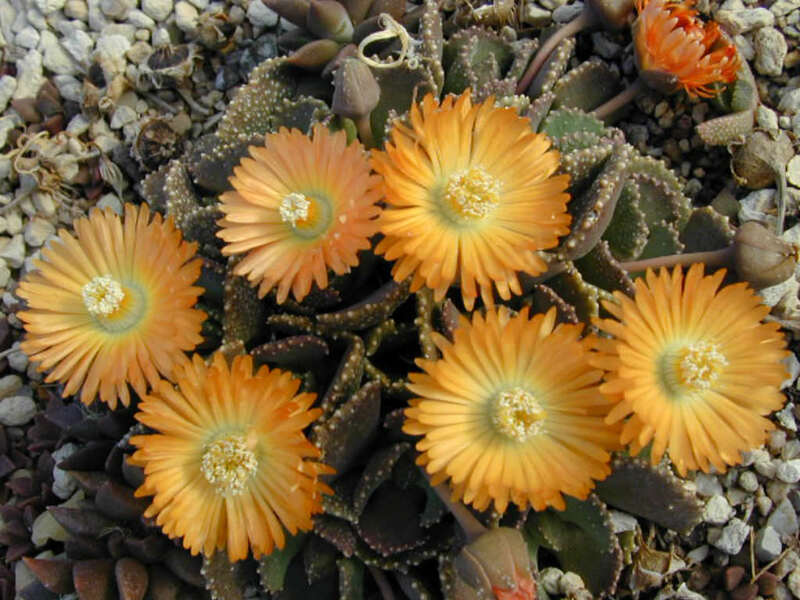 Aloinopsis can be cultivated in the ground or in a container. They will grow in the cooler parts of the year, and flower in winter if it gets good light (direct sunlight is essential to bloom well). 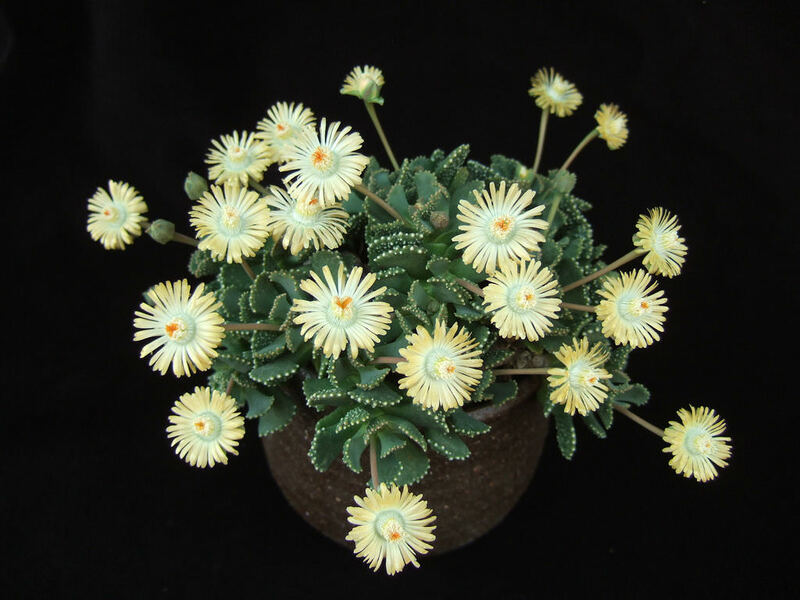 Aloinopsis is probably dormant in summer, so it is usually recommended not to water much in summer. 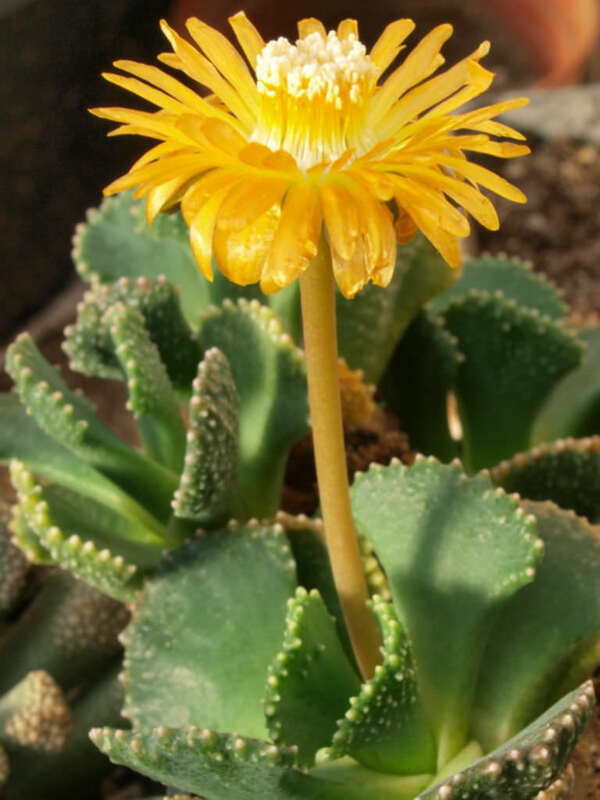 Don’t be surprised if they doesn’t grow at that time, but although Aloinopsis are better treated as winter growers they will grow anyway in summer, if given water.